March and April sucked, but I’m not sure what happened in those two months. Reflecting back on certain events that transpired that I could place the “blame” on my lack of writing wasn’t happening, so I guess I was just in a “rut.” Maybe. The month of May was different, thankfully. Kim’s birthday went off without a hitch, mother’s day was easy, and Kim also wrote an awesome piece about being Just a Volunteer, as well as a promise to our future son. Double posting for a month is exciting for both of us, because usually she only posts once. Every other month. She also updated her sidebar with a pretty sweet photo from our Christmas party, you should go check it out here. I guess I’ll go ahead and just say I dedicate this past month to my bride. She’s all kinds of awesome. Ok, so May (aka Month #5). Here we go. 1) Publish at least 3 well-written posts a week. Winner! With a grand total of 15, I think I made up a bit for April. No? Once again, somebody thought I had something valuable to share, so I posted over at Dad of Divas. Go check it out if you haven’t yet. 17) Purchase the support license for Pro Photo Theme from the 8Bit team, and integrate it into the photography section of my blog. Ok May, thanks for showing up and getting me out of March and April. Let’s kick June in the a$$. So how’d your May go? Wow sometimes I am amazed how we move in the same circles of motion. I signed up for booksneeze last week as well. I am retiring from writing of the NASCAR news site, so I figured I might squeeze some reading time in again. Definately ought to be able to read a few books on the Venezuela trip. 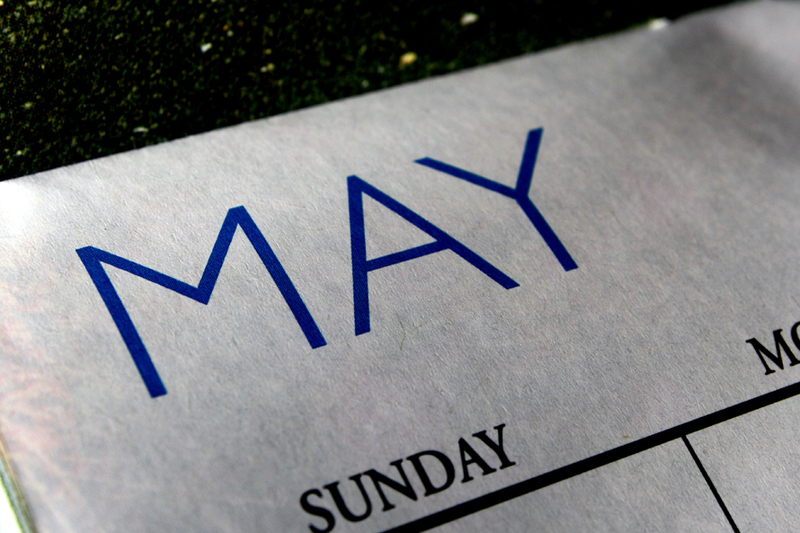 May was an awesome month at our house as well. I look back at it and get exhausted realizing what was accomplished. I am looking forward to our trip and to y’alls upcoming adoption. You’ll be amazed at how little time we have to actually read, other than the time on de plane boss. So, when are you migrating to WP? I want to head the campaign to get you to switch! Migrating to WP? Hmm, really not interested in spending money to selfhost when blogger is free 🙂 Go ahead, call me cheap. WordPress is free too, and superior. LOL, I did notice their ‘selection’ is kind of limited, but still it’s free. I also noticed spanish titles in there, I did not check espanyole. What gives? Booksneeze is cool. I reviewed a book last year (@pwilson’s Plan B) but stalled through my second book. I need to finish and review. Congrats on your goals. Love seeing that. Btw, Adam shares more of his story on betachristian.net today. Good stuff. And, I agree – Orange Parents blog is one of my favorites. Hmmm… maybe I can convince the Orange peops to have you or the wifey guest blog. Maybe? I sent you an email earlier, I really like reading y’alls stuff. Like I said in the email, thanks so much for sharing with the interweb folks. Benjamin Linus, I mean, Ben the man. You had a good month and I had a great time reading and commenting on your blog as well as Kim’s. She’s the real deal and I’m happy for you. She just may be funnier than you (which I would never have guessed). Oh and that Adam guy? Yeah, he’s the real deal! She is funnier than me, and I’m ok with that. BTW, In her blog, I see a picture of her. Not you. Did she crop you from the Christmas photo? LOL. HA, nah I cropped myself out. Only 1 of my faces can show up on the first page of blogs, otherwise the internet would crash. Sweetness man, and thanks for the book! I definitely agree about Mo over at The Blogging. How does he do that? It’s admirable fo sho. I’m really having mixed feelings on guest posting now, for some reason I get all anxious, because it’s not “my place.” It’s fear, I suppose… and we know who has NOT given us the spirit of fear. Right?